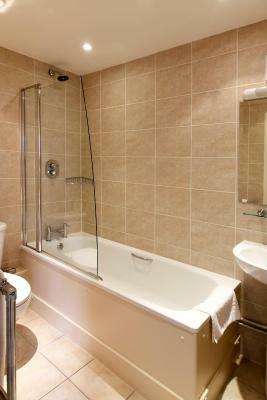 The place was clean, the bathroom was reasonably modern, it was centrally located. There was plenty of parking. Fixtures and Fittings tired and some need replacing. Breakfast ok, although bread not always fresh and restaurant lunch/ dinner and bar food does not seem to be freshly cooked. 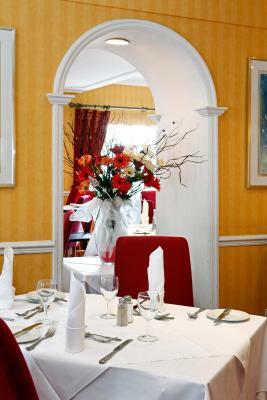 Friendly staff , good longue service with delicious food. I liked the location and area. I was able to go for a long walk after a long day of sitting in a car. The Waitrose across the street was convenient for healthy snacks and food. 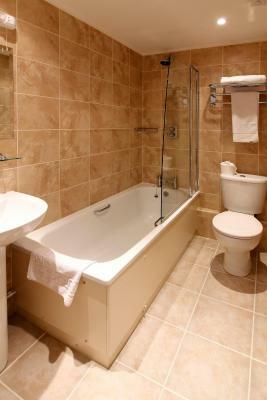 I also liked the size of the room and bathroom as well as free parking. Old property.slightly expensive but well maintained. Mind the traffic noise.Its right on the main road. 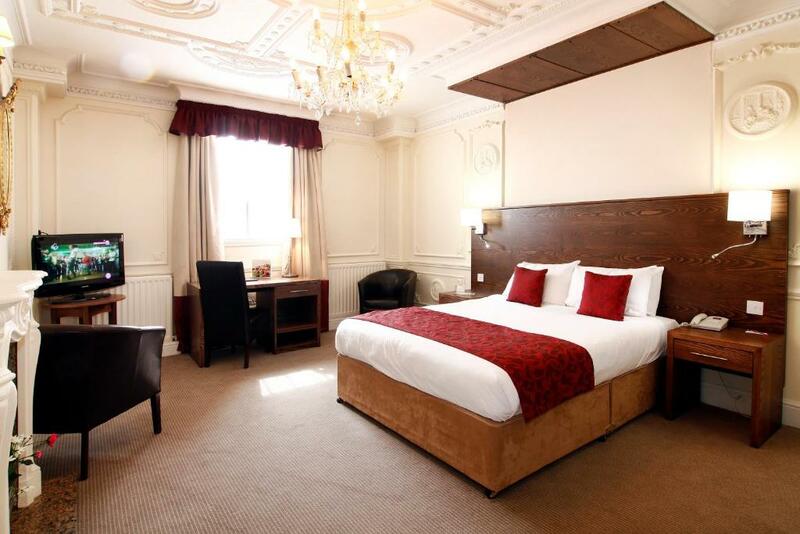 Mercure Wolverhampton Goldthorn Hotel This rating is a reflection of how the property compares to the industry standard when it comes to price, facilities and services available. It's based on a self-evaluation by the property. Use this rating to help choose your stay! 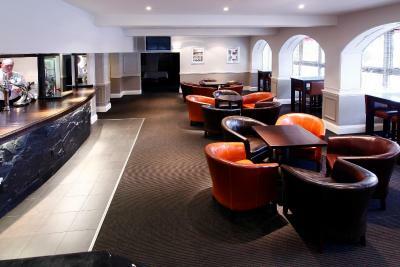 One of our top picks in Wolverhampton.Easily accessible from the A449 and a short drive from Wolverhampton city center, this hotel offers value for money accommodations and its own leisure facilities. 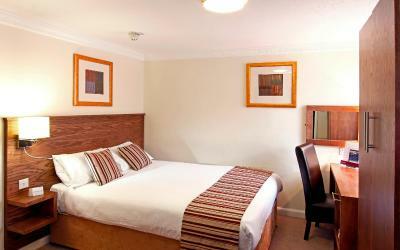 Mercure Wolverhampton Goldthorn Hotel is in an attractive suburban setting. 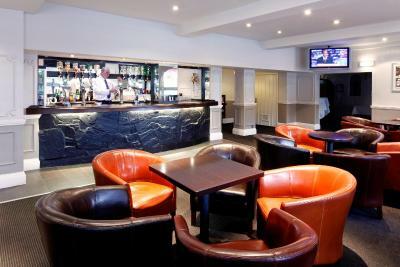 The cocktail bar and lounge offers a relaxing, modern setting. 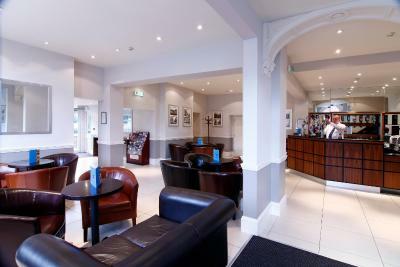 The Lounge Bar features BT sports, and is open daily from midday until late. 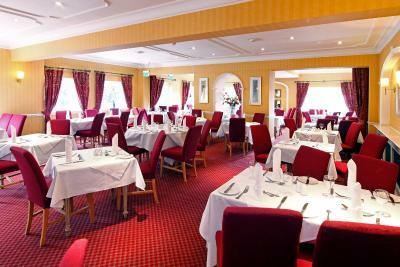 The elegant restaurant offers a modern style of cuisine. 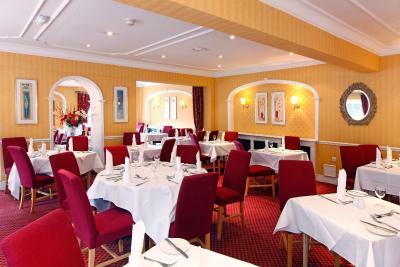 Enjoy fine cooking and carefully selected wines. 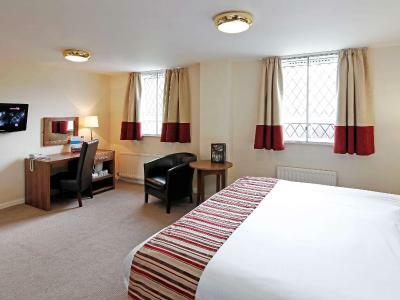 Within a short distance of the Goldthorn Hotel you can visit the Black Country Museum, glass-blowing centers, Wightwick Manor, safari parks, great pubs and steam railways. When would you like to stay at Mercure Wolverhampton Goldthorn Hotel? 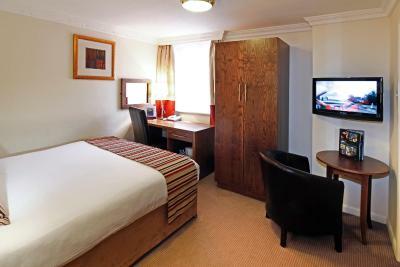 This room has a private bathroom and a flat-screen TV with Freeview cable. It also has free Wi-Fi and tea/coffee making facilities. 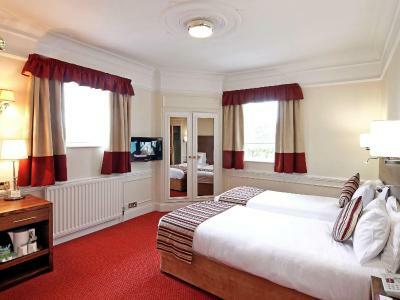 With a private bathroom, this room has a flat-screen TV with Freeview cable, tea and coffee making facilities and free Wi-Fi. 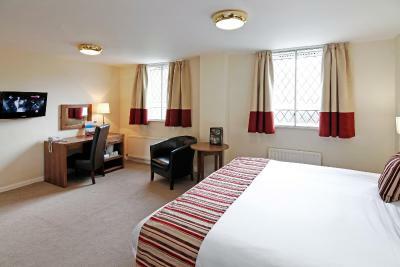 With an private bathroom, this room offers a flat-screen TV with Freeview, tea/coffee making facilities, hairdryer, and free WiFi.Guest also get free use of the leisure facilities. 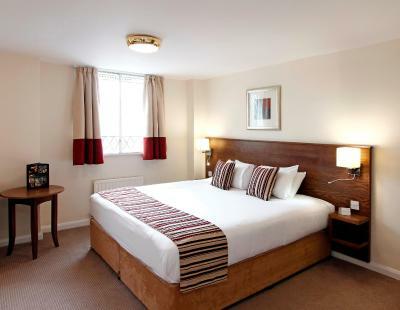 The Mercure Wolverhampton Goldthorn Hotel is just a short drive to Wolverhampton in a suburban setting within easy reach of the thriving commercial town centre, the NEC, M5, M6, M42 and M54 motorways, making it the ideal choice for both the business and leisure traveller. 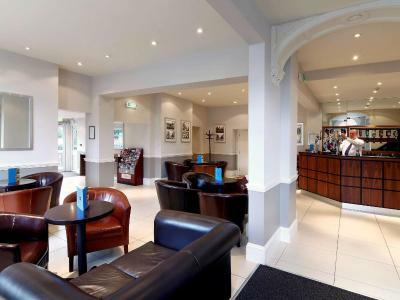 House Rules Mercure Wolverhampton Goldthorn Hotel takes special requests – add in the next step! 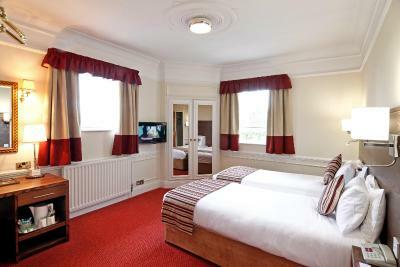 Mercure Wolverhampton Goldthorn Hotel accepts these cards and reserves the right to temporarily hold an amount prior to arrival. False advertisement, the curtains had cobwebs, the whole room smelt of dust, no lift had to use the stairs. The first guy who checked me in was a bit rushed with me. I asked if the area was safe to walk and he just said 'yeah'. I expected him to give me some options of where to walk and suggest something a bit more, however he was abrupt. Although there was no line or anything that seemed to offer an excuse for his rushing. I did not feel like that was a great welcome. 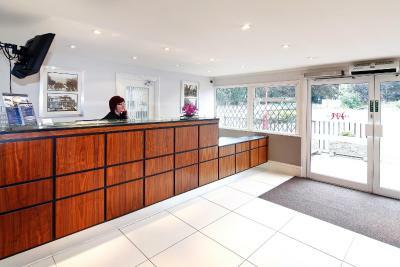 The reception staff are brilliant and will try their very best to deal with any problems most of which are beyond their control. Rooms very dated and in need of a lot of work. Although breakfast was good, dinner was not. Floor was filthy, could see all the dust around the edges where it hadn't been hovered throughly (there was also a toe nail on the floor), decor needs updating, lack of privacy, everything was cracked from the ceiling to the sink, the tiles the door, the bed. Floor felt uneven, like you could possibly fall through it. Loud music. Room was dusty, decor in need of cleaning and updating. Bathroom towels weren’t clean and twice requested replacements never arrived. Size of the room was good. I dont think I can fault the service or the facilities in this hotel. Booking. com may want to remove the swimming pool picture they have though as the leisure facility is closed. The service from the receptionist who checked us in was brilliant (cannot remember her name but she was new). She was very polite, friendly and helpful. Even when our room needed to be changed she was there to help our needs. The hotel manager was the same. 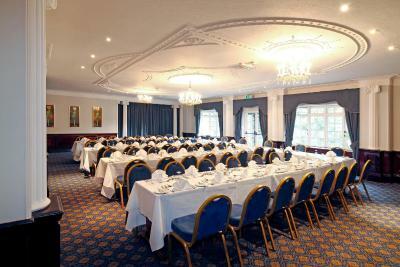 Helped with all my queries and assisted with the room change. 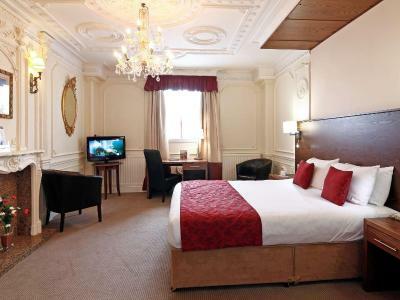 Agree with other reviews that the rooms need to be updated (looks wise) but the bed was very comfortable, the bathroom did everything I needed so there are no complaints for my stay. The very old building, old windows, doors, bathroom tiles, broken shower (room 21) and cheap quality iron and iron board. It was noisy nearly all the time I was in my room from around 5 pm till next day at checkout. The walls are very thin you can hear all outside noises and the floor was squeaky when someone was walking outside or next door. I honestly could not sleep well. The pictures provided in the website are deceiving. In reality it is awful. It is not even close to 3 stars. 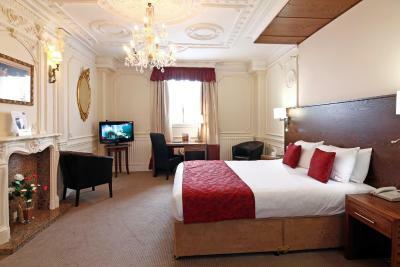 I think the price I paid for one night was high considering the poor quality of stay. I suggest destroying the whole thing and re building the hotel into a modern standard style. Some staff were nice and helpful.